Sharp, which supplies LCD panels to major smartphone makers (including Apple), has revealed parts of its product roadmap, and there are some very nice screens on the way. In particular, Sharp is working on a screen with a 2560 x 1600 resolution in a 4.1-inch panel, which would work out to an eye-popping 736 pixels per inch. Sharp also said it’s working on smartphone screens with 4K resolutions, and it expects them to start showing up in finished products by 2016. As I’ve argued before, we’ve reached a level of diminishing returns when it comes to pixel density on smartphones. Simply put, if you’re holding your phone a few inches from your face, current screens are sufficiently dense for most users to be unable to distinguish individual pixels. Even Apple has decided to sit out the latest round in the pixel wars: The iPhone 6 Plus uses a 5.5-inch screen running at a 1080p resolution, which has fewer pixels than the latest round of competing Android phones, like the Nexus 6. Instead, [company]Apple[/company] has focused on anti-reflective treatments and increased color accuracy for the screens it uses in its devices. It can even be argued that given current battery and GPU limitations, sticking a 4K screen on a smartphone would be serious overkill. But there’s one area where increased pixel density can still make a big difference, and that’s in virtual reality, because you’re sticking your eye right next to a screen for an immersive experience. 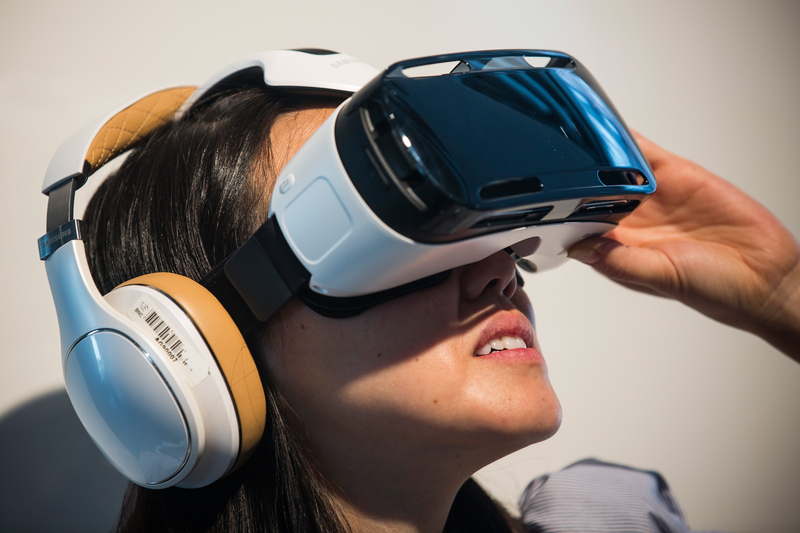 On Wednesday, [company]Samsung[/company] announced its Gear VR headset. It’s only going to cost $200 when it comes out this December, because the headset uses both the screen and processor from the top-of-the-line (for now) Samsung Galaxy Note 4. In fact, as of now, Samsung’s virtual reality experience — which is impressive for short periods of time — is one of the biggest advantages it has over the iPhone 6 Plus, partially due to its screen with a 2560 x 1600 resolution. In the future, consumer virtual reality could take the form of an app and a headset for your phone. Whether your phone can handle cutting-edge VR may end up depending primarily on your screen resolution. Valve developer Michael Abrash thinks that there’s still room to improve VR screens up to a “120-by-120 degree field of view at 8K-by-8K resolution.” We’re not close to that yet, but the super-dense screens from[company]Sharp[/company] are a step towards better virtual reality, not necessarily better smartphones. 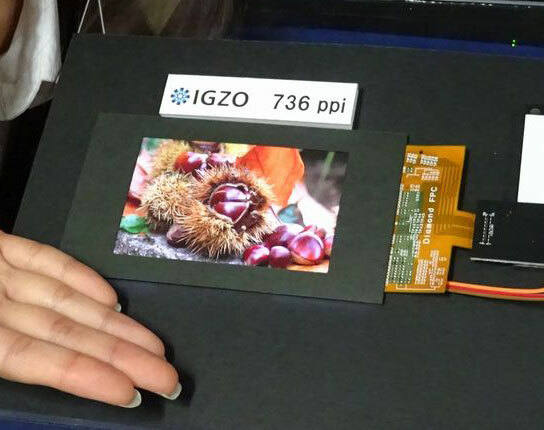 Sharp IGZO image courtesy of Nikkei Technology. Samsung Gear photo by Andrew Burton/Getty Images.